How this busy law firm increased their revenue by selling online legal solutions. Dawsons saw the changes in the legal market and wanted to offer their clients access to legal services in a new modern way. 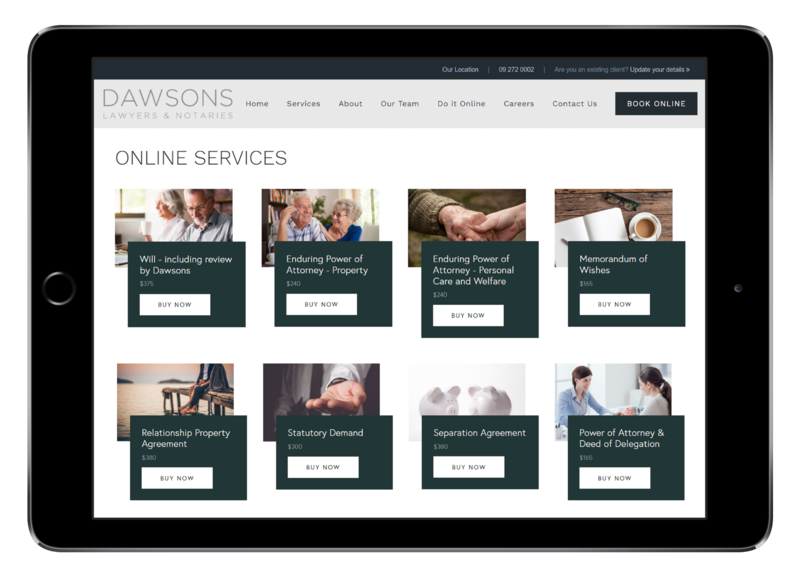 Dawsons created an “Online Services” section on their website, where their clients can buy from a selection of online legal solutions. Claire Endean joined Dawsons in 2012 and became a partner of the firm in 2017. Claire was searching for new ways to modernise and better serve their clients when she realised the potential in Automio to transform their practice. 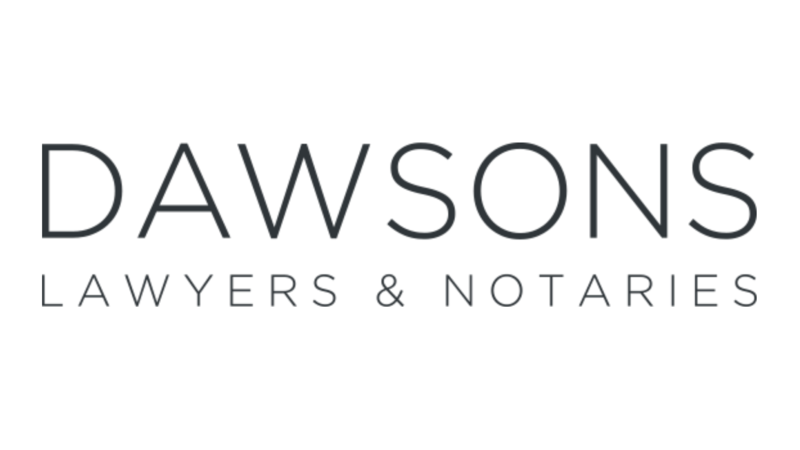 Dawsons is one of East Auckland area’s longest established and most respected law firms. The firm offers clients a broad range of expertise, from wills and trusts to civil litigation. With both residential and commercial conveyancing making up a large part of their work, they are consequently highly specialised in this area. Although Dawsons has operated in Auckland for over 50 years, it is far from a “traditional” firm. Dawsons combines a modern website, email marketing, an informative blog containing “calls to action” (to buy online legal solutions), and Facebook marketing campaigns to reach new and existing customers with their online legal solutions. Claire believes in providing practical and straightforward legal solutions to her clients and was recently contacted by someone who wanted to make an appointment to make a Will. Claire is thrilled with the new efficiencies in her practice. It saves her time to focus on the work she would rather be doing. Plus, Dawsons is getting a great new income stream from clients purchasing from their “Online Services” section of their website - generating this revenue doesn’t need much manual legal work. All documents that are automatically created for their clients are emailed to the Dawsons team, where they are checked, before sending them back out to the client. The whole team at Dawsons is committed to providing their clients with high quality, professional service and value for money. The firm has some exciting plans to continue to expand on the way they serve their clients online. With increased revenue (and a whopping 12x ROI), new client acquisition, and new efficiencies in their law practice, it’s easy to see why Dawsons uses Automio to help them build their firm of the future. Keen to see how Automio can help your firm design, market and sell online legal solutions?